21 March 2019, Sydney: Leading global provider of ultra-low latency network devices Exablaze has been named a finalist in the ‘Hardware Product of the Year’ category by the Network Computing Awards. The company’s ExaNIC V5P and Firmware Development Kit (FDK) was shortlisted, underlining the company’s market-leading position and the exceptional benefit its products provide to clients. 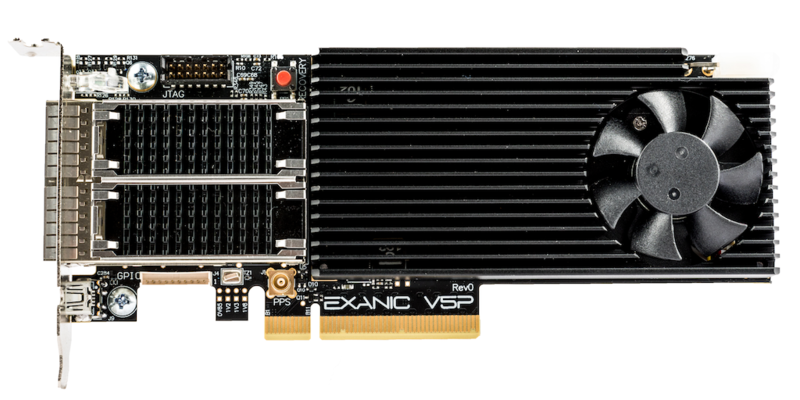 The ExaNIC V5P is an FPGA-based high-performance network adapter, specifically optimised for low-latency applications. Its high-density connectivity enables a range of high performance, directly connected network applications, bypassing the need for traditional switching and multiplexing requirements. 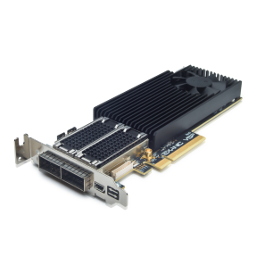 The product was selected for its unique combination of being a high-performance, production-quality NIC (Network Interface Card), and a powerful, entirely-customisable FPGA hardware platform. With latency reduction occupying a fundamental position on organisations’ list of priorities, Exablaze’s focus on high-density, low-latency is market-leading; its devices are deployed by financial institutions and in many other verticals including telecommunications and data centres across North America, Europe, Asia and Australia. The awards, which are run by Network Computing Magazine, the UK’s longest-established magazine specifically dedicated to network management, determined shortlisted firms through nominations. The winners of the Network Computing Awards will be announced at its ceremony in London on 2 May 2019 – please vote for Exablaze here. Established in Australia in 2013, Exablaze is a global provider of ultra-low latency, FPGA-based network devices for a wide range of applications in financial trading, big data and analytics along with high-performance computing, telcos and data centres. Headquartered in Sydney, Exablaze has a global client base and a presence in Europe, the US and China. Independently tested as the ultimate low-latency devices, the company’s products are deployed in latency-critical environments and provide clients with a uniquely competitive edge. A designer and manufacturer of advanced network devices, Exablaze provides unrivalled speed, innovation, flexibility and programmability. The company’s exceptional team of engineers is relied upon internationally to help clients unlock ultra-high-speed performance, providing significant savings and efficiency. Its clients range from HFT institutions to global banks, telecommunications providers, defence and academic/research organisations.